The Brewers were sloppy while the Cardinals were focused and determined not to go down a game in the NLCS with the series headed back up north. Good bullpen pitching and timely hitting led to a 7-1 win for the Cardinals Friday night. The Brewers made four errors that led to three unearned run and even though Jaime Garcia left before finishing the fifth inning, his bat helped in the Milwaukee implosion. In the bottom of the second right, after Nick Punto lined out to Jerry Hairston Jr. who made a diving stop to save two runs, Garcia slapped a 94 mph fastball through Hairston Jr.’s legs to give the Cardinals a 3-0 lead with two outs. In the bottom of the fourth Garcia hit a slow roller to score David Freese to put the Cards up 4-0. Zack Greinke actually pitched well enough for Milwaukee to be in this game if the defense would have supported him. While Tony LaRussa left Garcia in to hit, he didn’t leave him in the finish the fifth. With one run in, after giving up back to back two out singles, Garcia was done in favor of Octavio Dotel. 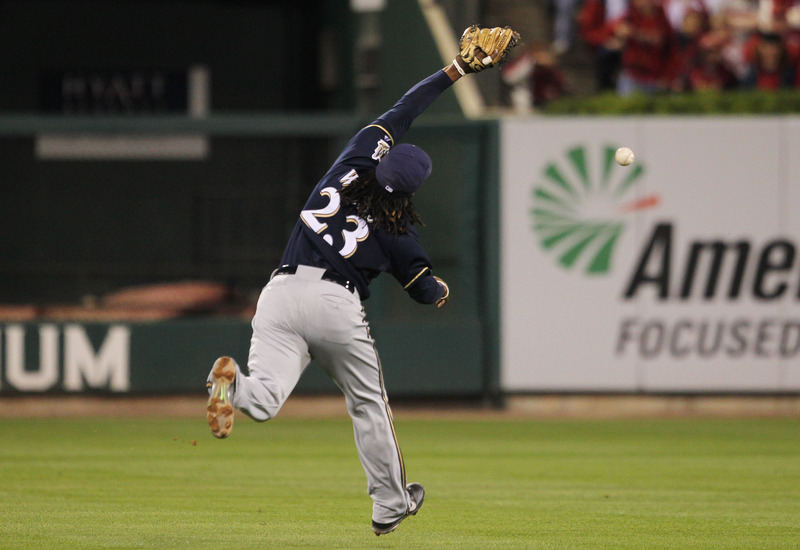 With Ryan Braun up, Dotel got Braun to strikeout on a hanging slider killing the Brewers best rally of the night. From there, the Brewers tanked it. Rickie Weeks rushed a throw to first with hobbling Albert Pujols running down the line, but the Cardinals couldn’t make them pay for that. In the sixth after Yuni Bentancourt let one go under his glove, the Cardinals got a run on Pujols’ bloop single to make it 5-1. 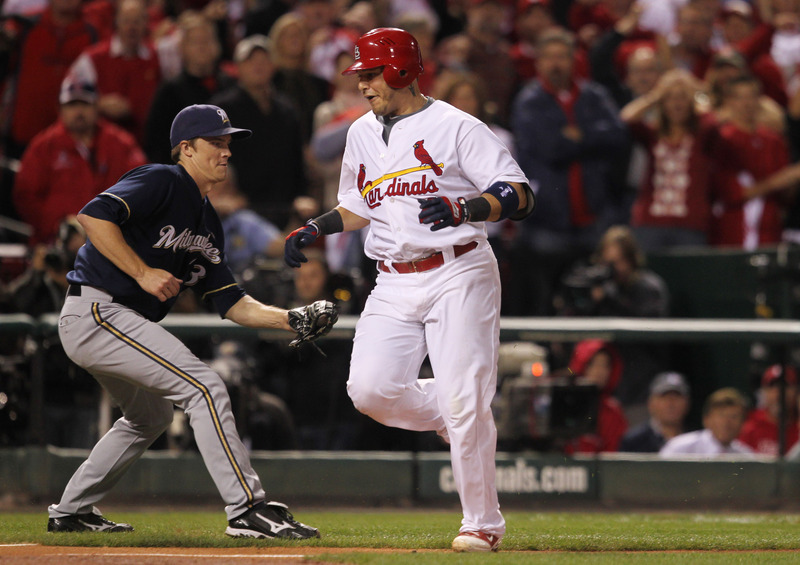 Matt Holliday’s two run double in the eighth was the icing on the cake as the Cardinals and Brewers meet up again on Sunday.